The beauty and the challenge of renewable energy is that there is no silver-bullet resource, no one-size-fits-all portfolio, and a utility’s territory may hold more than one overlooked opportunity to add new kilowatts of clean, locally-generated power. Being alert to such opportunities is how San Miguel Power Association built a power portfolio that includes 2.3 percent locally-generated hydropower. Small hydropower development is highly dependent on location, and SMPA is lucky that its southwestern Colorado service territory is rich in the resource. “Blessed” is the word marketing and energy services manager Brad Zaporski used, who added that there is more to the utility’s success than water. “We have existing infrastructure from the historic mining industry, so the facilities can be developed with minimal environmental impact,” he said. The 11-kilowatt Mayflower Mill Hydro in Silverton is another history-making facility, the first small hydropower project in Colorado to be permitted under the Hydropower Regulatory Efficiency Act. Congress passed the law in 2013 to streamline the permitting process for hydropower units smaller than 5 megawatts. In fact, commercial hydropower plants were generating electricity in the area long before the U.S. Department of Energy was created and earlier than when President Franklin Roosevelt signed the Rural Electrification Act. 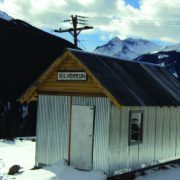 The Ouray hydropower plant began operating December 6, 1885, making it one of the oldest in the nation. Private developer HydroWest, Inc. bought and renovated the inactive plant in 1992, and today it generates about 4 million kilowatt-hours annually for San Miguel. In many cases, however, the cooperative simply makes its own feasibility. 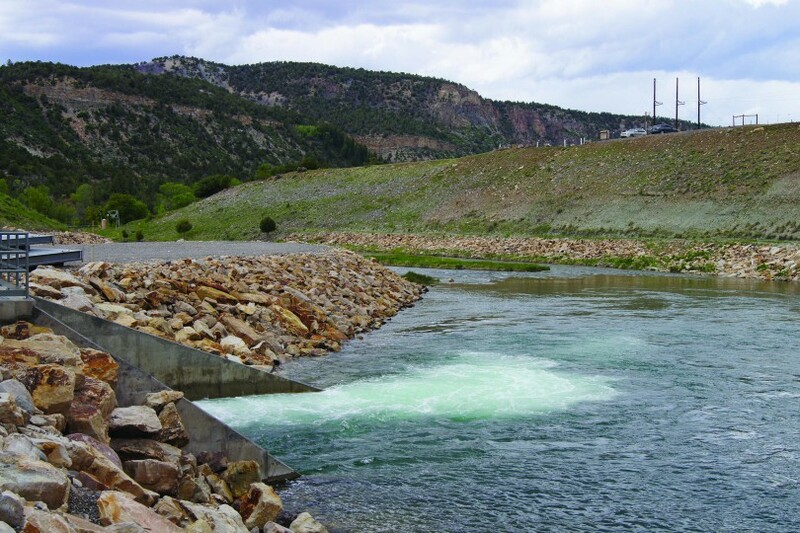 At 8 MW, the Ridgway Reservoir hydropower plant doesn’t quite qualify under the streamlined hydropower act, but it is the single largest renewable energy project in San Miguel’s service territory. It generates about 24,000 megawatt-hours in an average water year — enough electricity to power 2,500 homes annually — and far more than the co-op is able to purchase on its own. SMPA worked out an agreement with its wholesale power provider, Tri-State Generation and Transmission Association, and plant owner Tri-County Water. TriState buys the energy the plant produces between June and September, and SMPA consumes the power. The city of Aspen buys the facility’s output during the other eight months of the year. The Ouray hydropower plant, which was established in 1886, is believed to be the oldest operating power plant in the United States. 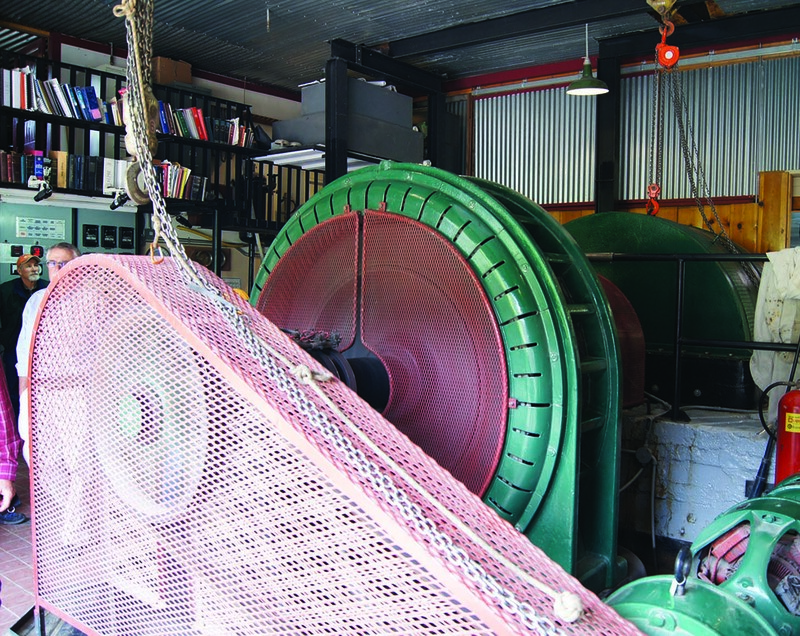 Though considerably smaller at 320 kW, the generating station at the Pandora Water Treatment Facility in Telluride scores big points for maximum use. Four high lakes above the town send water through the Bridal Veil hydropower plant above town, producing about 2 million kWh annually. The next stop is the Pandora hydropower unit at the treatment facility, and from there to the homes and businesses of Telluride for consumption. The water ends its journey through the city at the Telluride wastewater plant where a large solar array produces 10 percent of the plant’s electricity needs. “And all of these things happen in just 3 miles, largely through the use of existing infrastructure from the mining era,” said Zaporski. San Miguel also has several micro hydropower units — those that generate less than 100 kW — in its portfolio. 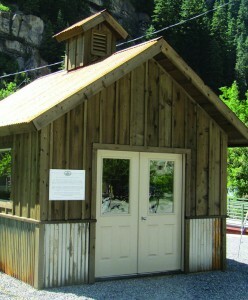 The 90-kW Coal Creek hydropower plant just south of Ridgway was the co-op’s first micro hydropower purchase in 2009, and the 22-kW Ouray Hot Springs hydropower plant is one of three net-metered hydropower facilities on SMPA’s system.Though considerably smaller at 320 kW, the generating station at the Pandora Water Treatment Facility in Telluride scores big points for maximum use. Four high lakes above the town send water through the Bridal Veil hydropower plant above town, producing about 2 million kWh annually. The next stop is the Pandora hydropower unit at the treatment facility, and from there to the homes and businesses of Telluride for consumption. The water ends its journey through the city at the Telluride wastewater plant where a large solar array produces 10 percent of the plant’s electricity needs. “And all of these things happen in just 3 miles, largely through the use of existing infrastructure from the mining era,” said Zaporski. 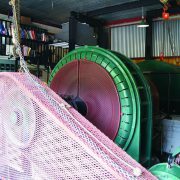 Focusing on small and micro hydropower development isn’t the only creative thing about San Miguel’s approach to renewable energy, either. “We do it all on a zero-subsidy basis,” Zaporski stated proudly. 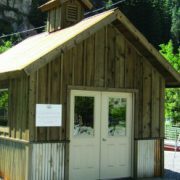 A 22-kW micro hydro project at Ouray’s hot springs powers the pool and out buildings at the city-owned facilities. The co-op offers its members two programs that allow them to fund hydropower and other renewable projects outside of rates. Through the Green Block program, members purchase renewable energy credits from SMPA’s existing renewable generators to offset their energy consumption. These Green Blocks, as the RECs are called, represent 100 kWh of renewable energy and cost $1 per block, per month. All SMPA members may purchase as many blocks as they wish and the cost is added to the monthly bill. Local municipalities looking to offset their energy use also purchase the RECs. The Green Cents program is another simple and easy way for members to support community renewable energy projects. Members may choose to round up their monthly bill to the nearest dollar, with the extra pennies funding new projects. Participation costs members on average around $7 annually, and they may cancel at any time. Zaporski agreed, noting that San Miguel has two more small hydropower projects in the works. “Partnership is really what makes these projects happen,” he declared. Originally printed in Western Area Power Administration’s Energy Services Bulletin.